The ATS 2500 GTS: Mrs. Ferrari's "Sports Car"
I've looked at many top level Concours d'Elegance here on Driving Line over the past few years. 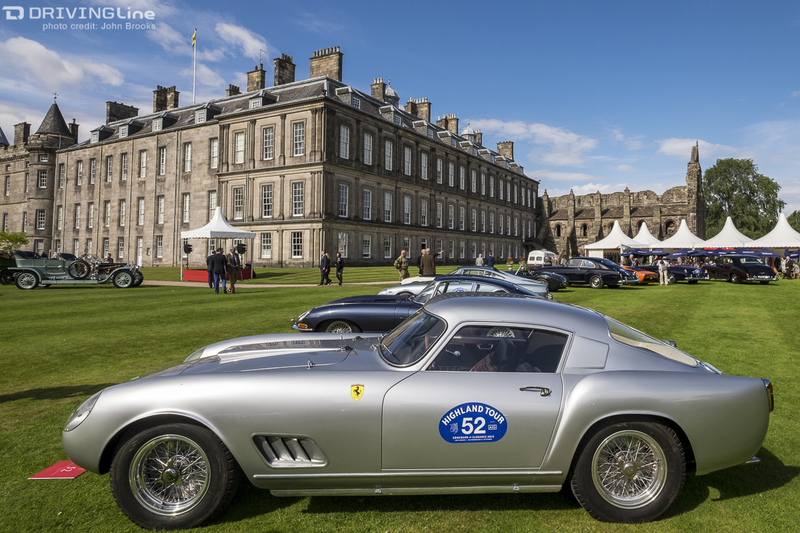 I've even examined the elements that make up a successful event HERE - but after a week spent chasing the Concours circuit throughout Britain, I am inclined to argue that the status and success of an event can be measured by the quality of the Ferraris on display. Why so I hear you say? Why Ferrari? Why not the pre-War French Coachbuilders' masterpieces? Why not Bentley, Rolls-Royce, Bugatti or Lamborghini? 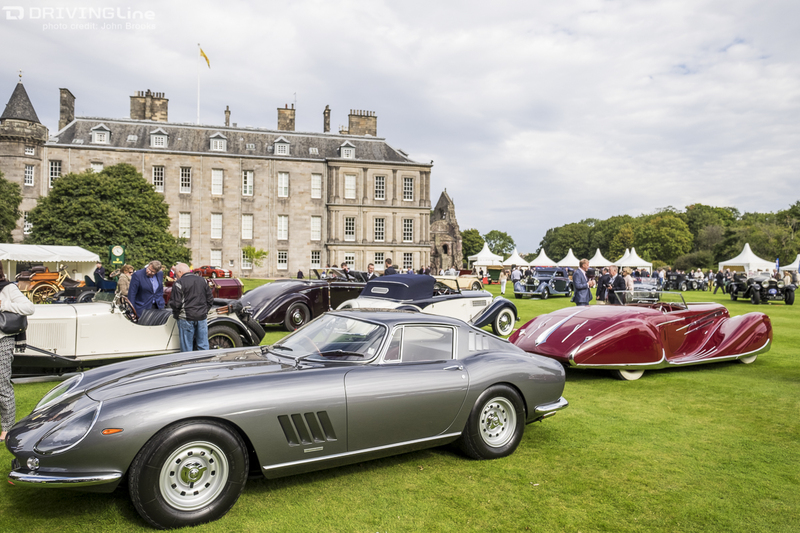 Well, like it or lump it, Ferrari is the automotive brand coveted above all others, particularly the classic cars of the '50s and '60s. 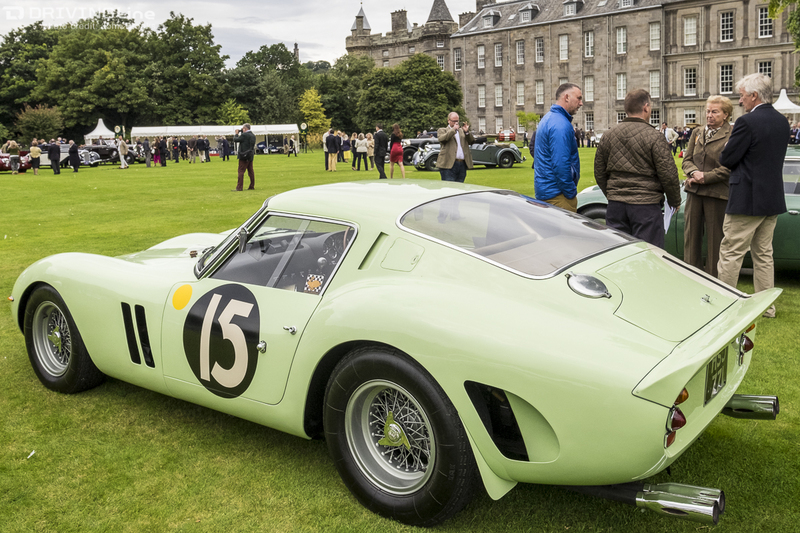 Just consider the evidence from the auction rooms: in 2013, a mere $52,000,000 was paid for a 250 GTO (chassis 5111 GT), a winner of the 1963 Tour de France - that's a world record sum for a car at auction that still stands. Ferrari is the gold standard in the automotive world and everyone knows it. 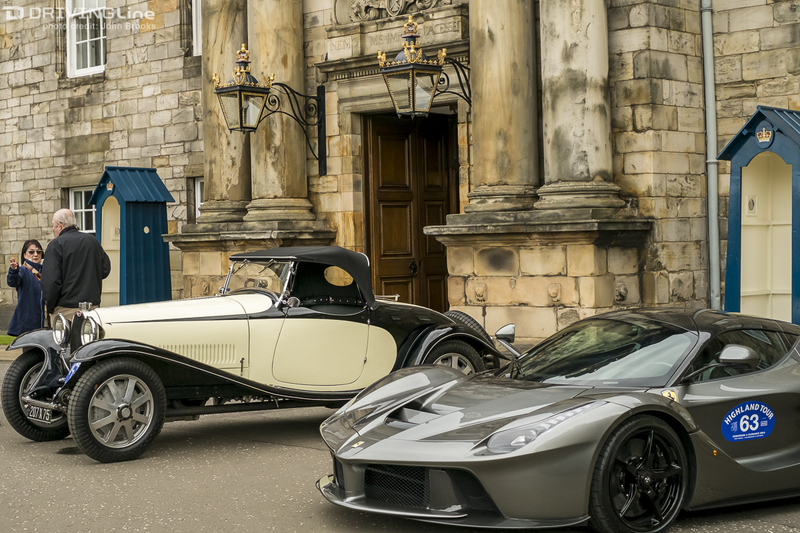 When I arrived at the Palace of Holyroodhouse in Edinburgh for this year's Concours of Elegance the entrance was guarded by a platoon of Scottish soldiers (it is a Royal Palace after all) and supported by a Bugatti and a LaFerrari; guess which car attracted the attention? Oddly enough I spoke with the owner of latest hypercar to come from Maranello, who used to be a client of mine when he owned a racing team. He did surprise me by describing the LaFerrari as the best, most comfortable car he had ever driven or owned...and he has had virtually every car that you can think of. 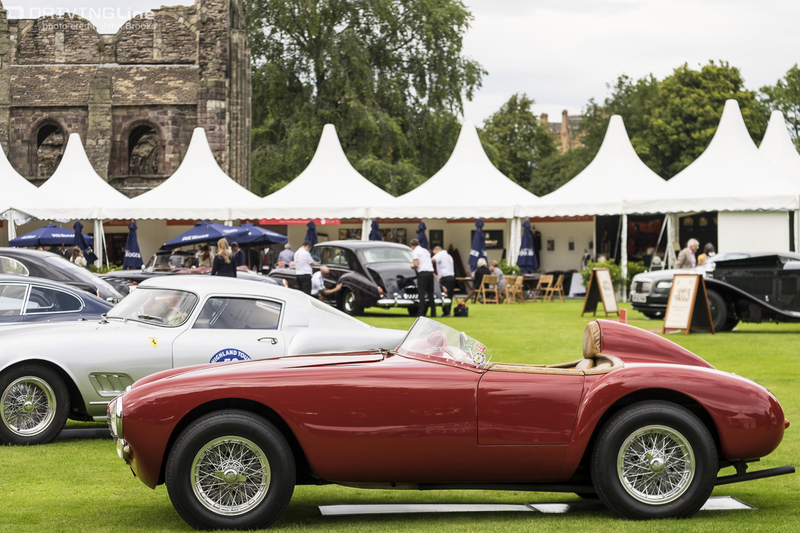 One of the benefits of the soaring values for all the truly classic cars (such as Ferraris) is that owners have been encouraged to undertake costly restoration projects. 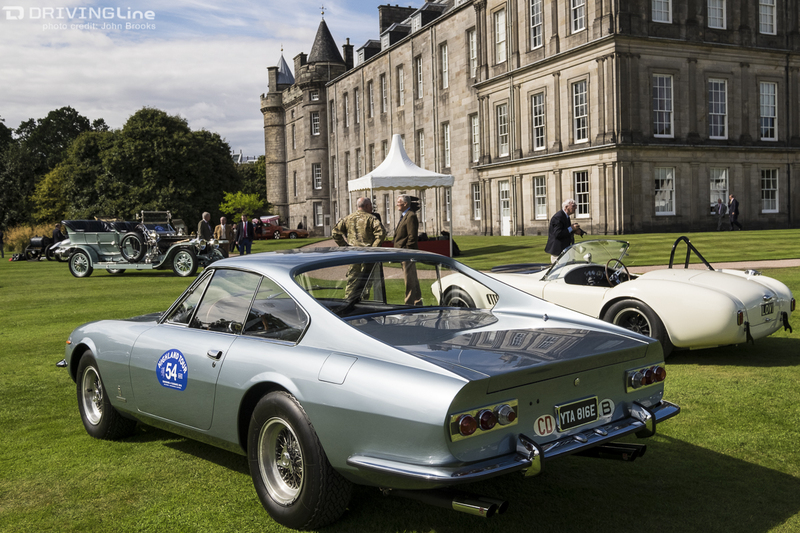 The happy consequence of this is to enlarge the number of rare and special cars that are brought to events for our appreciation and admiration. 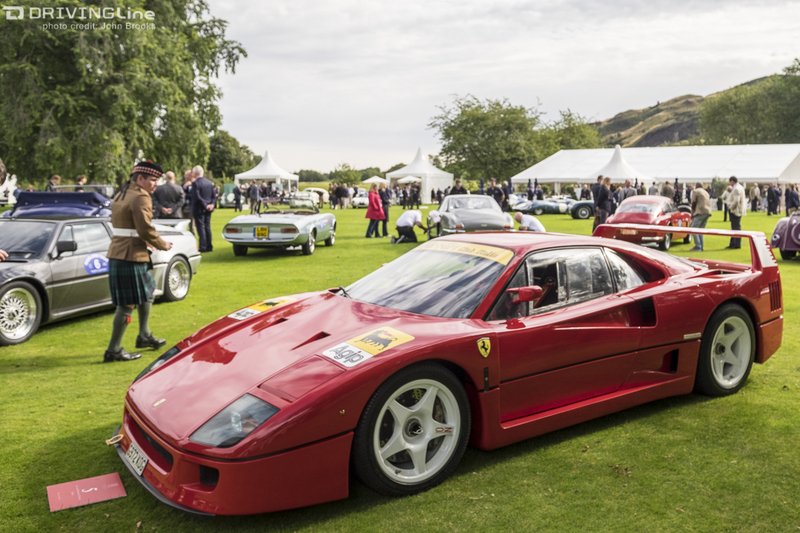 The first car that I encountered on the lawns was this F40 GT. As rare as the F40 is, this example, 74047, is even more special, having had some more Michelotto magic included, like an upgraded engine (590hp), lighter bodywork, adjustable anti-roll bars, bigger brakes, wider wheels and built-in quick lift jacks. All of these modifications were included in the run of F40 LMs that were built for racing in arenas such as the BPR Global GT Challenge, the forerunner to the FIA GT Championship. 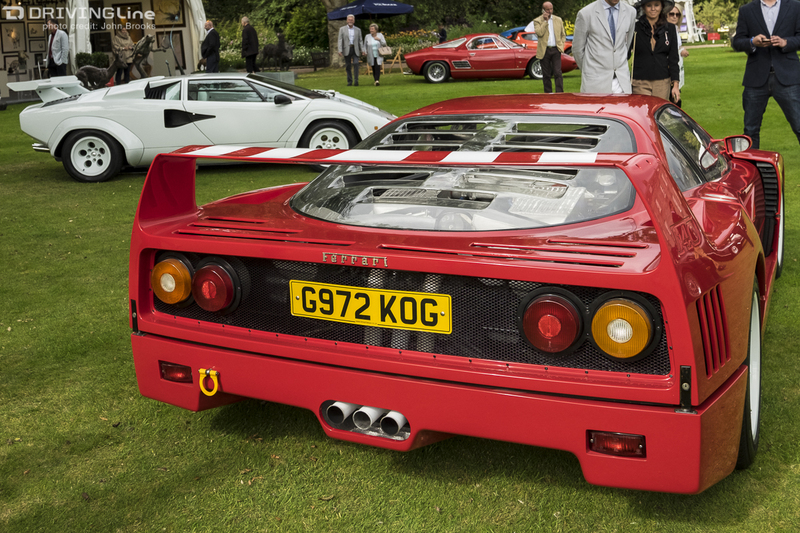 Almost 30 years on and the F40 still looks stunning, the Pininfarina styling has hardly aged. From the 'car on steroids' look of the F40, I found this 275 GTB/4 to be an elegant contrast. The pleasing lines were popular in the '60s and many Hollywood stars owned examples of this Ferrari: Steve McQueen, Clint Eastwood and Peter Sellers; even musicians of the period also found this car desirable, such as George Harrison, Miles Davis and Eric Clapton - a super group made in heaven or, if the egos were in evidence, hell! Powered by a 3.3L V12 this was the first Ferrari with an all independent suspension, giving it a reputation for excellent manners on the road. Luigi Chinetti, Ferrari importer for North America, persuaded Enzo that a Spyder version of the 275 was needed for the American market. 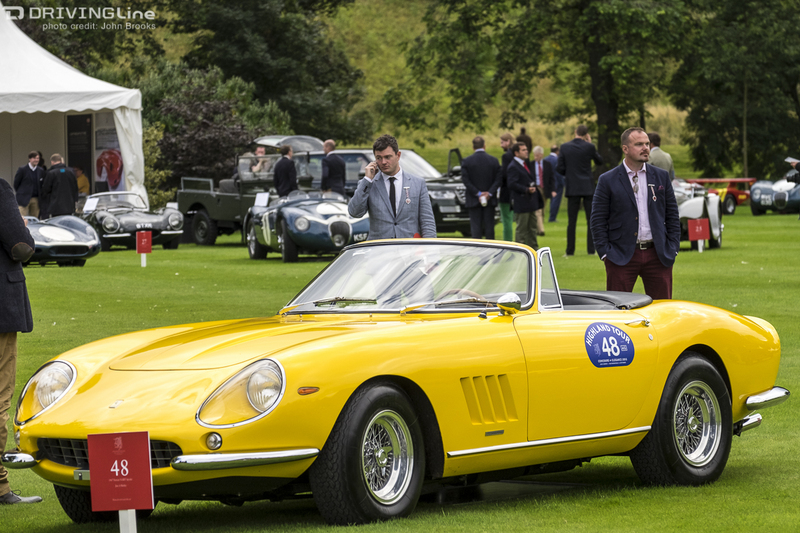 This 275 GTS/4 NART Spyder is the result of his entreaties. 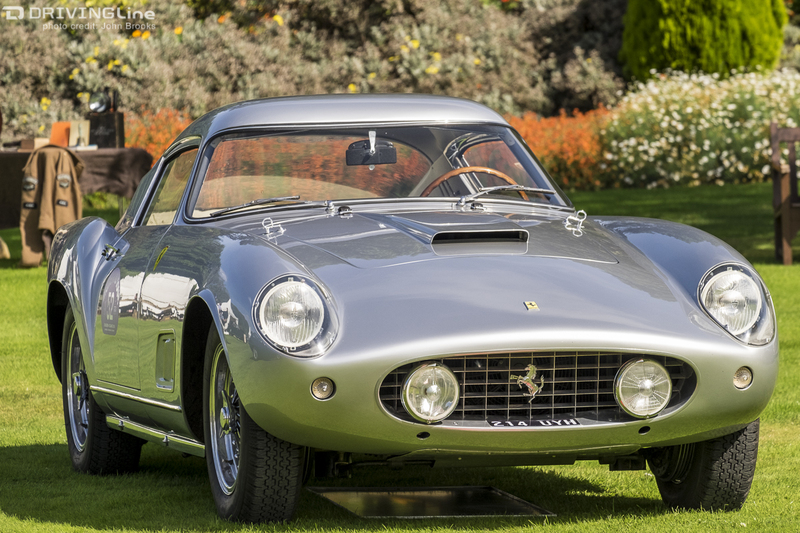 This one of the rarest of Ferraris, only ten of the high-performance, sparsely equipped Spyders were sold, though Steve McQueen was again one of the customers and he used it in his classic movie, "The Thomas Crown Affair". Credentials as a race car were proved when Denise McCluggage and Pinkie Rollo took a 275 GTS NART Spyder to 17th place overall (2nd in class) in the 1967 12 Hours of Sebring. Road & Track described the car as "the most satisfying sports car in the world". Praise not lightly given. 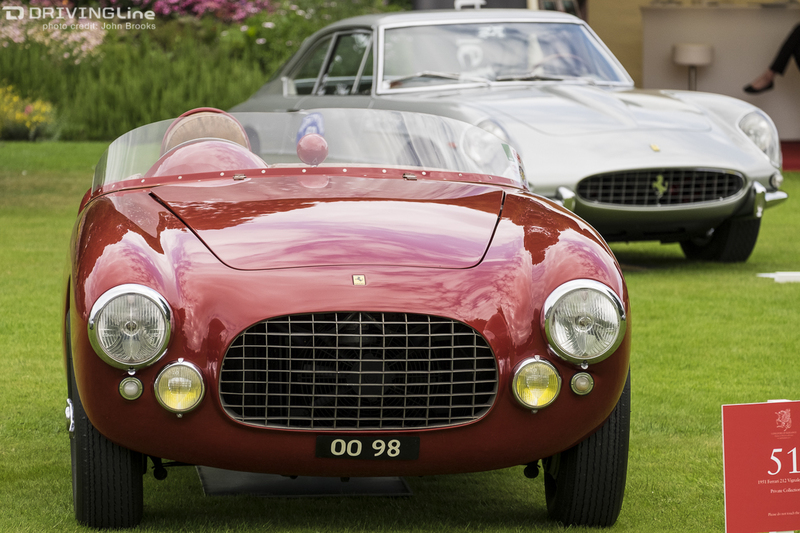 Back to the early days of the Prancing Horse with this Ferrari 212 Export with barchetta-style bodywork from Carrozzeria Alfredo Vignale. This car was a development of the Ferrari 166, which could be said to be the foundation of Ferrari's success with a clean sweep of the endurance classics in 1949, taking honors in the Mille Miglia, Targa Florio, Le Mans 24 Hours and Spa 24 hours, the first three with the same car. The 212 was powered by a V12 of 2562cc capacity that was race-prepared; it was a road going racecar. 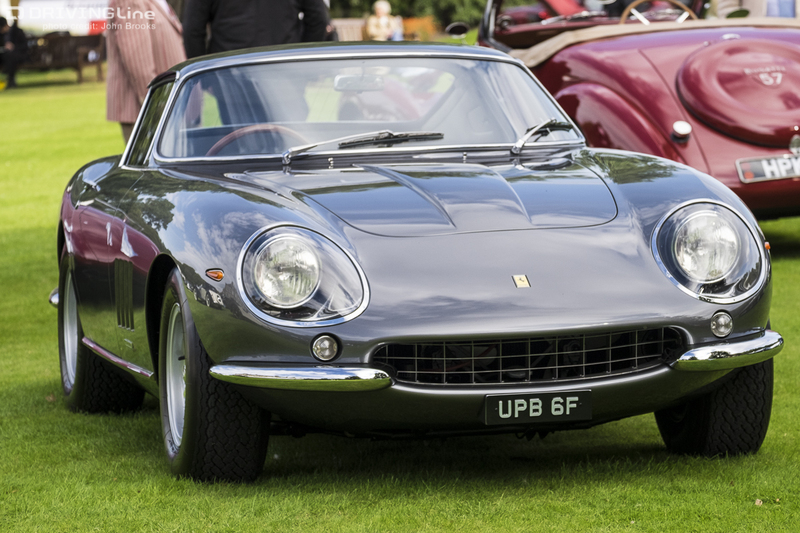 This particular example was driven to the customer, Count Giulio D'Acquarone, by none other than Enzo Ferrari. The Count must have been important as Enzo's concept of customer service did not always match the quality of his products. I recall how a row with Ferruccio Lamborghini resulted in the formation of Automobili Lamborghini, you can see that HERE. 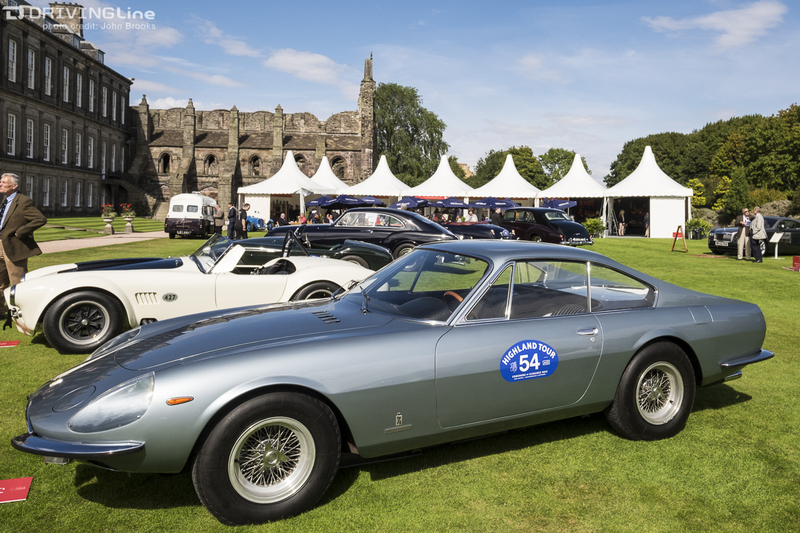 Fast forward to 1967 and the 330 GTC Speciale, a regal fashion accessory produced to special order by Ferrari. It was commissioned by Princess Lilian de Réthy, who was the wife of King Leopold lll of Belgium. The Princess was quite definite in her instructions to Pininfarina in terms of how the two seater GT would appear externally and how the interior would be specified. 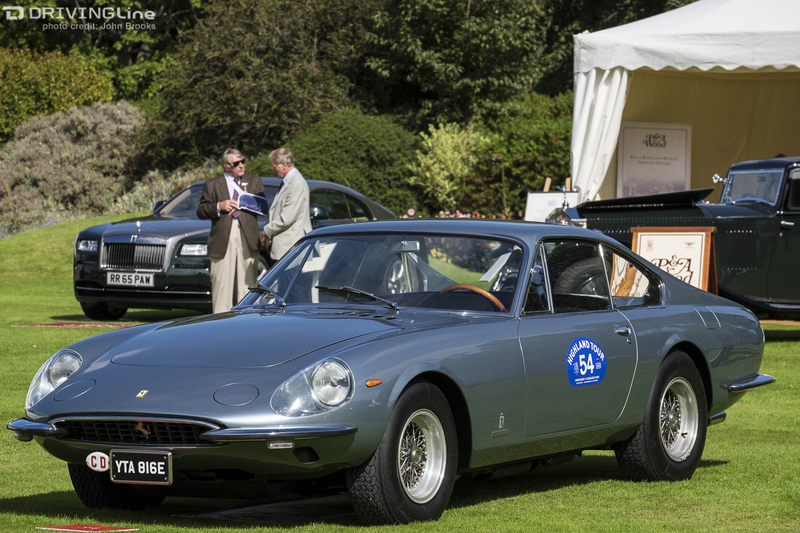 Based 330 GTC with a short-wheelbase chassis, four examples of the Speciale were built and it is regarded as perhaps the most elegant of Ferrari's '60s coupés. No doubt there is a price to match its exclusivity. 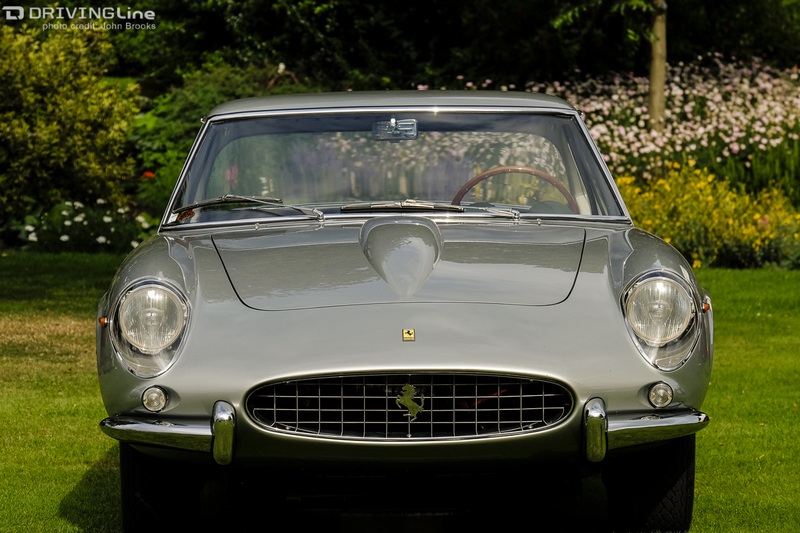 Another rare and exclusive Ferrari is this 400 Superamerica Coupé Aerodinamico. Only 47 were built, some 32 being Coupé Aerodinamico models. Dating back to 1962 and styled by Aldo Bravarone of Pininfarina it is powered by a 4-liter V12 engine. Intended mainly for the American market it was introduced at the 1959 Turin Show, indeed the first customer was Fiat's Chairman, Gianni Agnelli, and in common with the cars in this range it was custom built and had a very high specification interior, Grand Touring indeed. 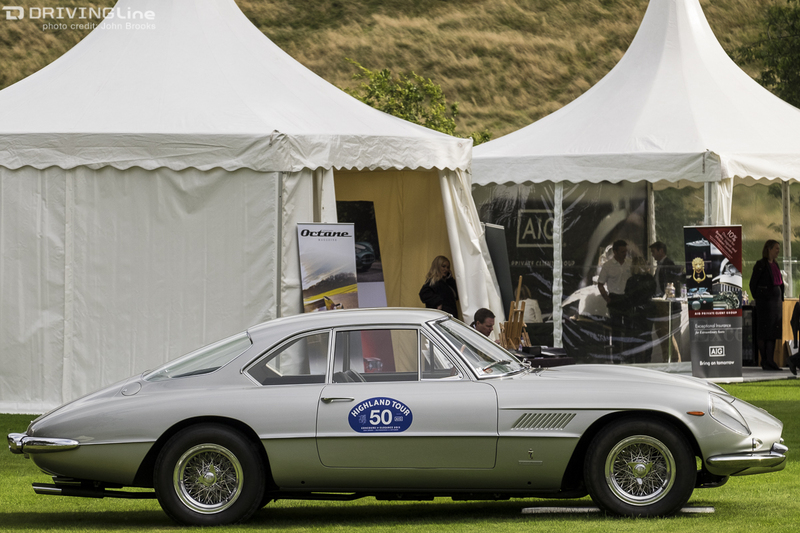 Another major milestone in Ferrari history was the 250 GT range and in particular the TDF models. 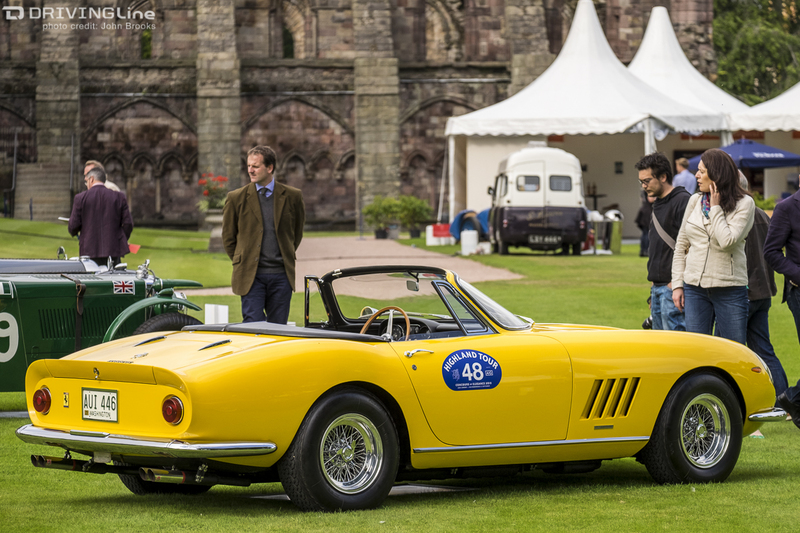 TDF stands for Tour de France - automobile - in which Ferrari triumphed nine times in a row starting in 1956. Naturally a batch of road cars were sold to celebrate this astonishing success, some 90 in the production run. Power came courtesy of 3.0L V12 and there was great effort to save weight on Pininfarina's design by the aluminum specialists Scaglietti's work on the light-alloy body. 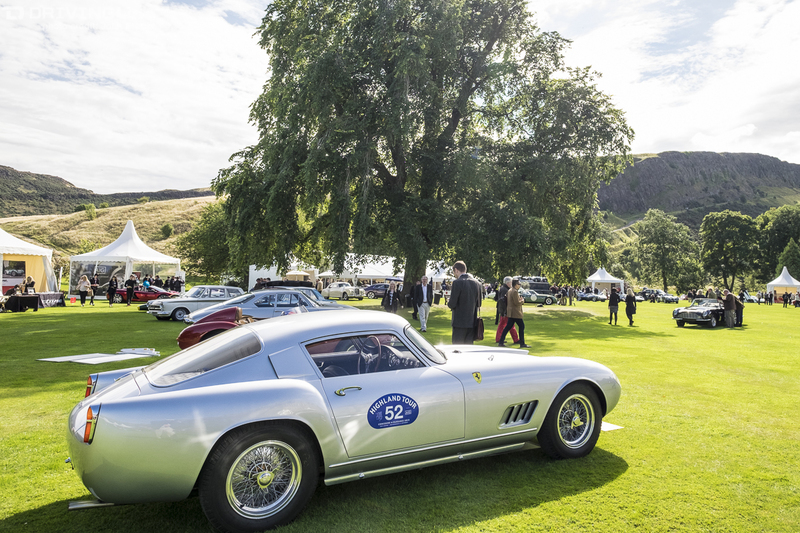 The 250 TDF was both fast and rugged, its record in a grueling event such as the 3,000-plus mile Tour is all the evidence required to support such as assertion. 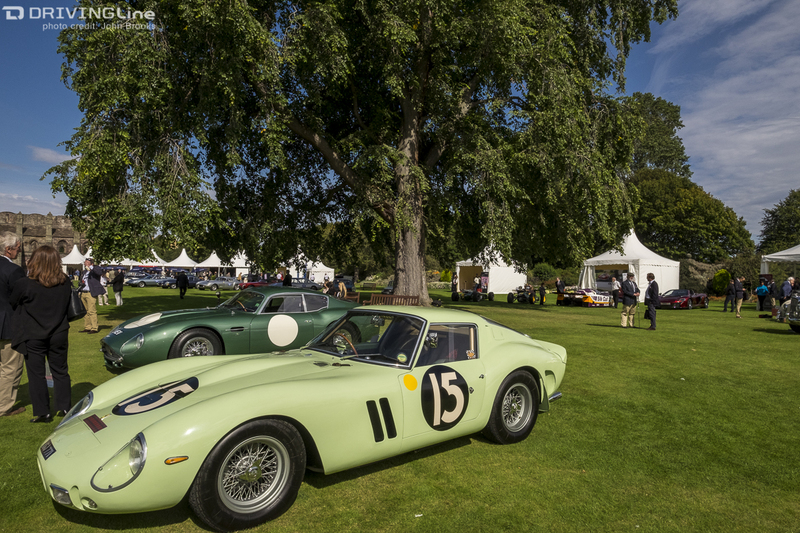 No serious collection of Maranello's finest is complete without at least one 250 GTO being present. So what's so special about this car, what drives otherwise hard-nosed, successful business men to part with the annual GDP of a small country to own one of these cars? A proper answer to that question would fill more space than available in this piece but certainly the appeal is very much visual, the car looks just right. Perhaps its position as the last of the line of classic road racing cars that were also legal and drivable on the public highway cements its position as the most desirable vehicle of them all. 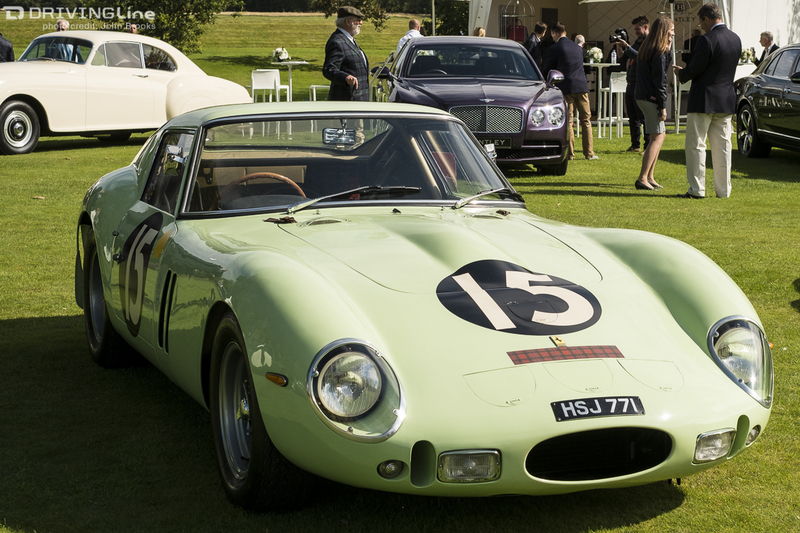 Chassis 3505 GT was first acquired by the UDT - Laystall team in early 1962 with the intention of giving it to the great Stirling Moss to drive. The first race was to be the Easter Meeting at Goodwood but Stirling was involved in an accident that initially threatened to be fatal, but was career-ending instead. 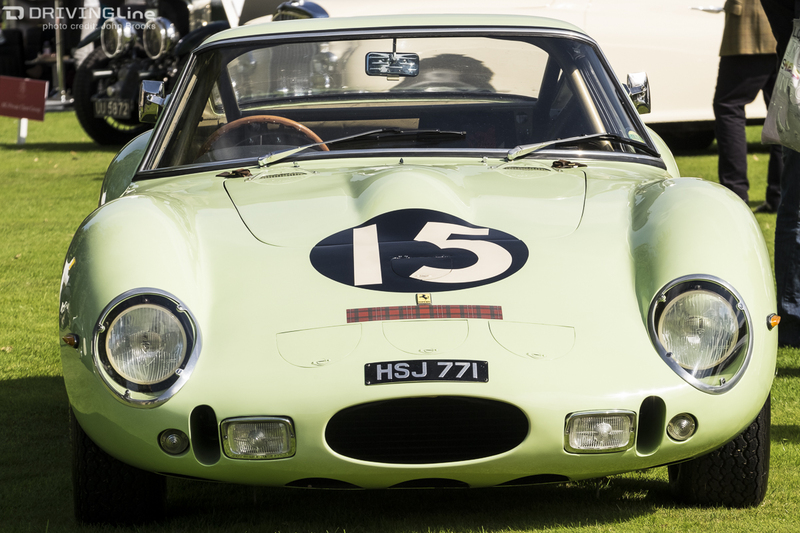 Innes Ireland stepped in and drove the car for the rest of the season, including outright victory in the RAC Tourist Trophy at Goodwood, the oldest motor sport competition still running. So eight very special cars from Maranello, proof, if it were needed, of the importance of Ferrari in the rich heritage of the automobile. My final piece from Edinburgh will be a look at the other treasures that made up a fantastic event.